To mitigate the harmful consequences of global warming, a rapid decarbonisation of economies through more ambitious climate action by countries is urgently needed. The implementation of the Paris Agreement and the assessment of Nationally Determined Contributions (NDCs) requires a transparent monitoring system. Greater transparency on climate action increases awareness and peer pressure, in particular through independent evidence-based assessments. Rapid decarbonisation requires strong governmental leadership – with the G20 a key group of countries in this regard. 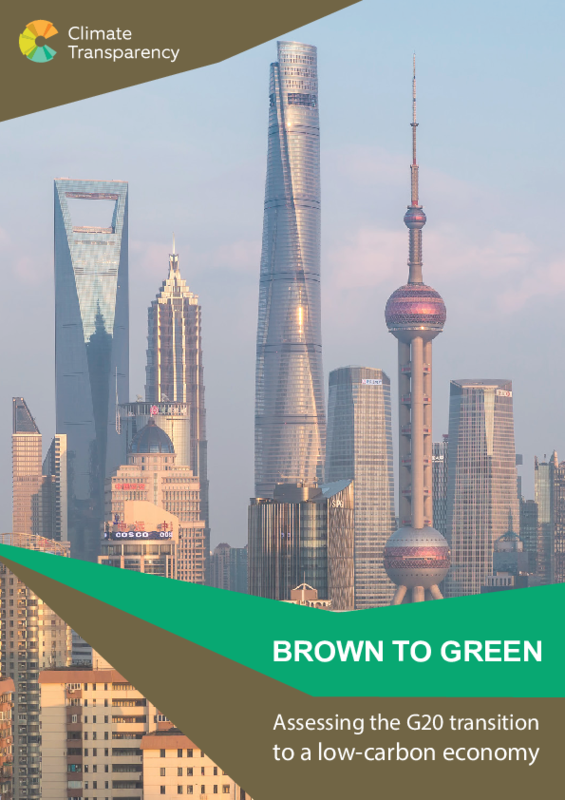 Argentina and India, holding the G20 Presidency in 2018 and 2019 can continue the efforts to progress issues of green finance and climate action embedded in the G20 by the recent Chinese and German Presidencies. The drive for ambitious change will not only come from governments, but also through the influence of civil society, media, business and science on a national level. While developed economies retain historic responsibilities to act strongly to mitigate the impacts of climate change, rapid transformations and political leadership – in the light of weakening leadership from the US and the EU – in emerging economies is equally important. Collective action requires common reference frameworks and transparency. Therefore, Climate Transparency brings together the most authoritative climate assessments and expertise of institutions from G20 countries. 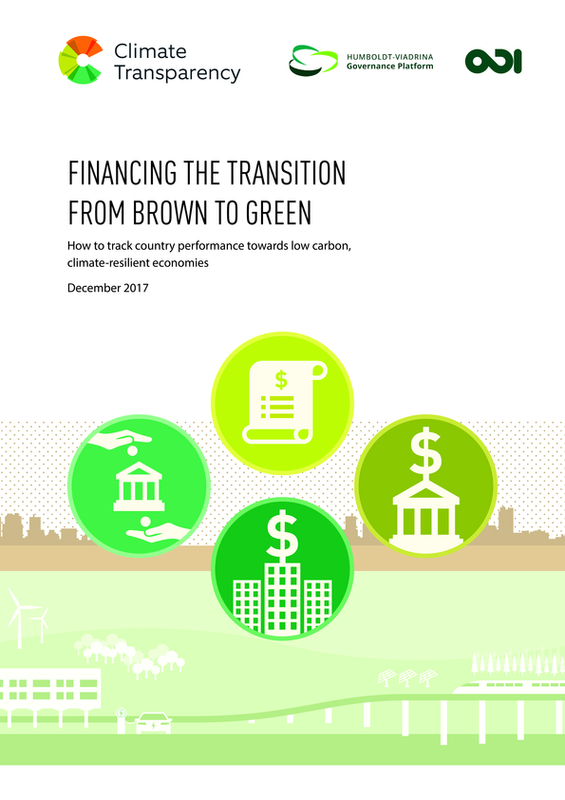 Jointly, these experts develop a credible, comprehensive and comparable picture on the climate performance of G20 countries – The annual Brown to Green Report includes easy-to-use information on mitigation, vulnerability and finance. With this information, Climate Transparency strives to enhance the awareness on the national and international level and increase the need for action of policy makers and influential actors from civil society, academia and business. 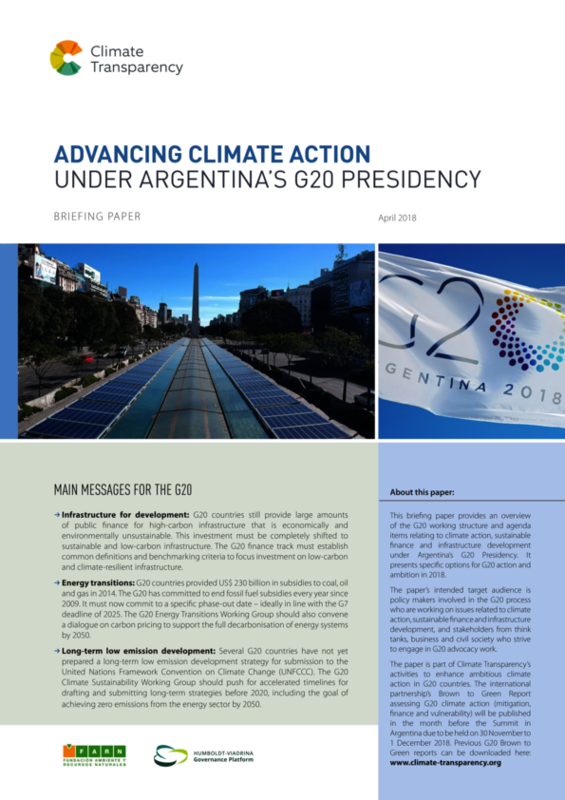 Events, workshops, media work and targeted briefings of different G20 countries stimulate the national climate debate through international comparisons. 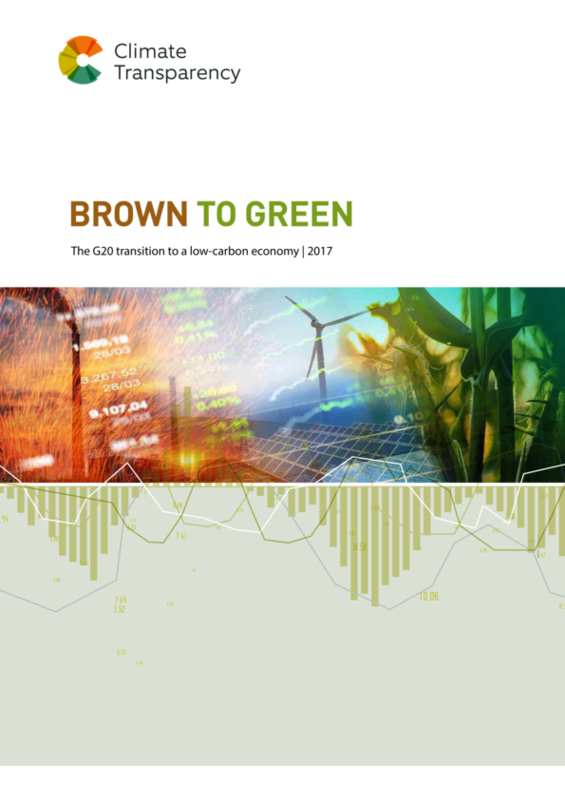 Centro Clima (Brazil), Climate Analytics (Germany), Energy Research Center (South Africa), Energy Research Institute (China), Fundación Ambiente y Recursos Naturales (Argentina), Germanwatch e.V. (Germany), Initiativa Climática de México (Mexico), Institute for Essential Service Reform (Indonesia), Institute for Sustainable Development and International Relations (France), NewClimate Institute (Germany), Overseas Development Institute (UK) and The Energy and Resources Institute (India). The partnership is supported by ClimateWorks Foundation, European Climate Foundation, Stiftung Mercator and the World Bank. 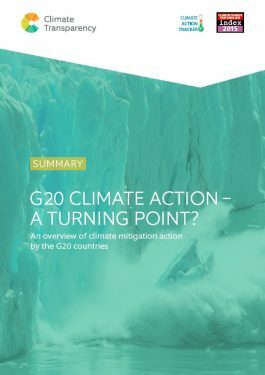 G20 Climate Action 2015 – A Turning Point?